It's often necessary to hit a second drive to really appreciate the first one! SCUD – A Missile with limited range, often with erratic and inaccurate flight paths and direction and usually ending with disappointing results. But who cares! 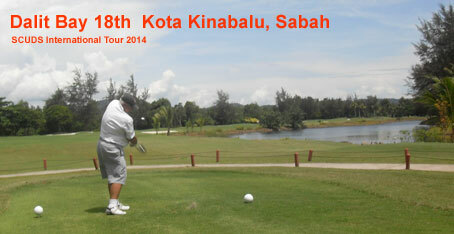 Stableford involves scoring points based on results at each hole. 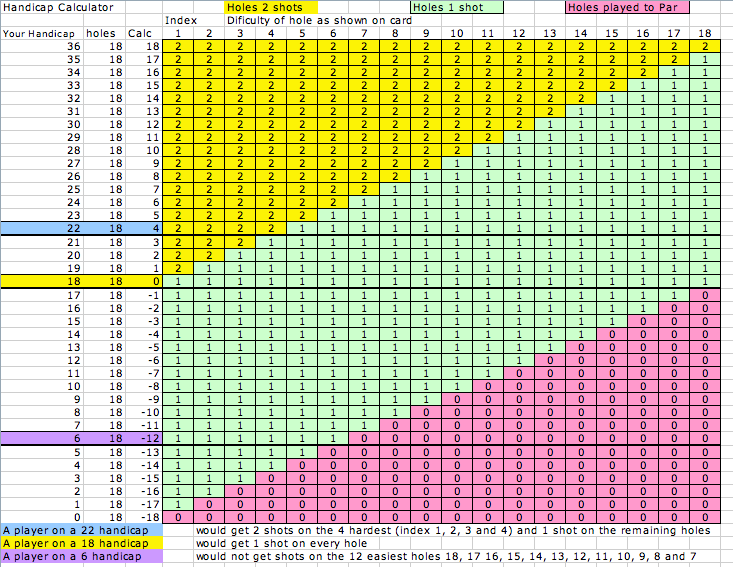 Using the index for each hole, players are able to make a mental allocation of their full handicap for each of the 18 holes, (See chart back page). For example, a player on a handicap of 18 will add one shot to the par value of each hole to determine their own par for the hole. Thus a hole rated as a par 4 becomes a par 5 for the player. 3 under = 5 pts etc. Players who exceed their own par by two strokes score no points for the hole and, since they cannot improve on that result, they should pick up their ball. (Unless a novelty prize is available). At the end of the round all points scored are added up and the player having the highest number of points is the winner. When marking the scorecard, the number of strokes taken must always be shown for holes where points are scored. Thus, the card records both strokes and points. Par (Bogey) competition challenges players to beat their own handicap par. If players better their par, they score a ‘+’ (plus) for the hole. If players equal their own par, they are said to have halved or squared the hole which is scored with an ‘O’. If par is not achieved, a ‘-‘ (minus) sign is recorded. At the end of the round the plus and minus signs are added and the net result written in as so many ‘up’, ‘down’ or ‘all square’.A player is allowed their full stroke handicap and the strokes are taken at holes as indicated on the card. Where the handicap is more than 18, two strokes will be allowed on the number of holes that the handicap exceeds 18.Par BisqueAs in "par" but handicap strokes may be taken as a player decides, up to the maximum of his handicap. 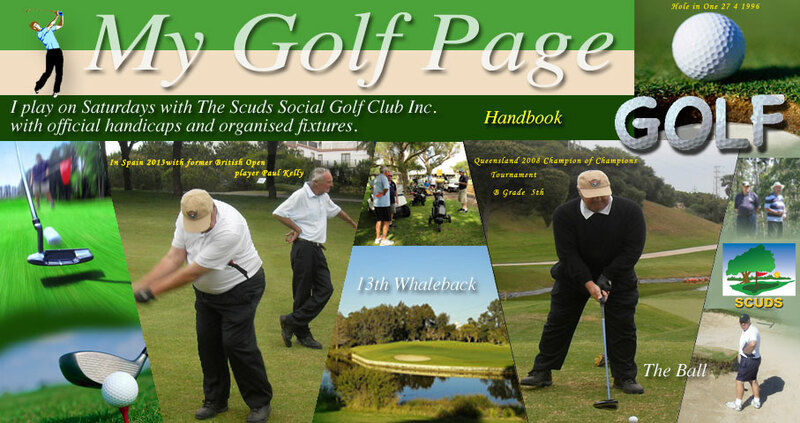 The decision about the number of handicap strokes to take and the resultant score is made at the end of each hole and before play on the next hole commenced. 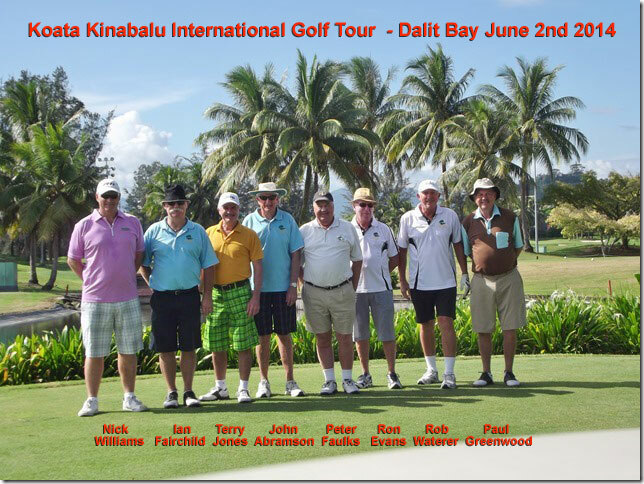 Both players play their own ball throughout; For example, Players A and B form one team, at the end of each hole, the low score after handicap between the two partners on each team is that team's score. i.e. two players: player A on an 18 handicap and player B on a 9 handicap. At each hole the player’s handicap for that hole is calculated, the player with the lowest score records the result.Play at hole 1 with a course rating of 11 player A scores a 5 which with his extra shot on handicap for that hole would score a net 4, Player B has a 5 but does not get a shot so his score would be 5 with no handicap = net 5 so player A’s score of 4 will count as it is the lowest score. This is a novelty event you are only allowed four clubs in the bag, no other conditions apply. Match play is a hole-by-hole contest; think of it as 18 one-hole contests. The winner is the player who wins the most holes. When a player is more holes up than there are holes remaining to play, he wins. This means that matches can end before the 18th hole or they can go beyond 18 until a winner is decided. Match play even allows for ties. This happens in team competitions such as the President’s Team v’s Captain’s team. In those cases, a halved match results in each team being awarded a half point. The winning team on most matches won share the pool. If there is a ball in the fringe and a ball in the bunker, your ball is in the bunker. If both balls are in the bunker, yours is in the footprint! Brand new golf balls are water-magnetic. Though this cannot be proven in the lab, it is a known fact that the more expensive the golf ball, the greater its attraction to water. 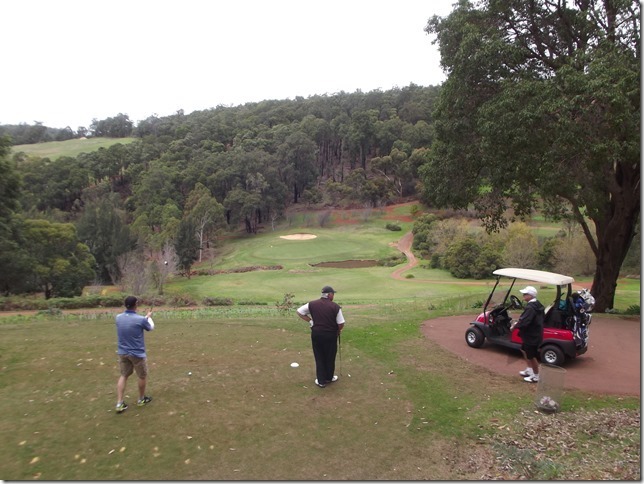 Hole 16, a 165 Metre Par 3 is a 60 metre high drop to the hole with babbling brook and small lake in front, bunker at the rear, I used a 5 Iron, Lee uses a 3 iron, photographer Rob used a 5 iron and Terry (watching) is the only one to hit the green! Every par-three hole in the world has a secret desire to humiliate golfers. The shorter the hole, the greater its desire. to restore the fundamental equilibrium of the universe.